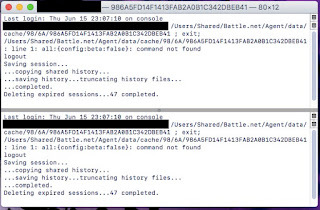 This appears to be a RAS (Remote Access Script) EXE used to hack into BattleNet (World of Warcraft, Starcraft) accounts. This is from a Mac Sierra 10.12.5 in Decatur County, TN found in July, 2017. It is LINUX-based. It was located in the Shared BattleNet folder and activated on Right-Click.